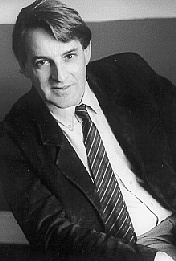 Neil Schaeffer was educated at Columbia University, and is Professor of English at Brooklyn College, where he served a term as Chairman of the English Department. Originally a student of the rational eighteenth century, he grew interested in Norman Mailer, and this interest in Norman Mailer's writings led him to the works of The Marquis de Sade. Almost eleven years ago, Neil Schaeffer began his work on a full-scale biography of The Marquis. In order to write this book, Neil Schaeffer travelled to Provence many times, visiting the various homes of the Marquis (the photographs of which on this site were all taken by him), and conferring with French scholars, notably Alice LaBorde, who has spent most of her life collecting all available information extant about the Marquis' life. From the Biblioteque Nationale, he obtained transcripts of the Marquis' letters, most of which had never been translated, and began translating them. This task proved to be far more formidable than he had anticipated. The Marquis de Sade spent most of his adult life in prison--almost 29 years--and during that time he wrote voluminous letters to his wife, his mother-in-law, who was determined to keep him in jail, his uncle, the Abbe de Sade, and others who had come into his orbit. These vivid letters, sometimes hilarious and sometimes heart-breaking, provided an astonishingly detailed account of the Marquis' life, and Neil Schaeffer translated over two thousand pages of these letters which became essential to his understanding of the Marquis. For over ten years, Neil Schaeffer spent every spare moment working on this biography. His fascination with his subject never flagged, and still casts its spell. Neil Schaeffer's first book, The Art of Laughter, was published by Columbia University Press and was very well-received. It is still studied when academics gather to study the theory of comedy. Neil Schaeffer has also published short stories and is now working on a novel. He is married to the writer, Susan Fromberg Schaeffer, divides his time between New York and Vermont, and has two children. Neil Schaeffer is currently considered a "single author." If one or more works are by a distinct, homonymous authors, go ahead and split the author. Neil Schaeffer is composed of 1 name.